The breeding aim of the Nolana sheep is to combine the advantages of hair sheep with the advantages of native wool sheep. Nolana sheep are hair sheep. They do not produce wool, but carry a smooth coat during summer and a 4-5 cm (1.6-1.8 in) thick pelt during winter which they shed naturally in spring. Therefore, they do not need to be shorn. 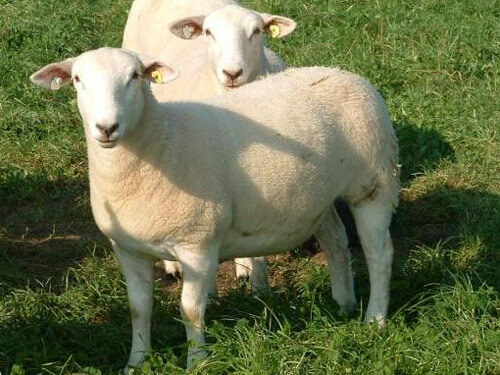 Two types of sheep have evolved during the development of the Nolana sheep: a meat-type (fleischscafe) and a landrace-type (landscafe) for more extensive settings and landscape management. The meat-type is mostly white, while the landrace-type is more variable in color and type.